I love to write. It is a passion; a compulsion; something that gives me an avenue to express myself. I write when I am happy; when I am sad or when an issue touches my heart. I find inspiration to write in every aspect of life. Sponsored blog posts, book reviews, campaigns and more, I do all of these and more. I find writing and blogging, an extension of who I am, something I can never give up. 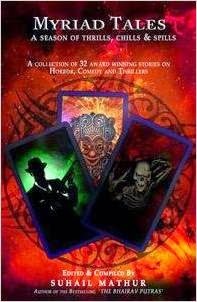 My short story ‘401 Wellington Avenue‘ has been published in Myriad Tales. You can get a copy here. 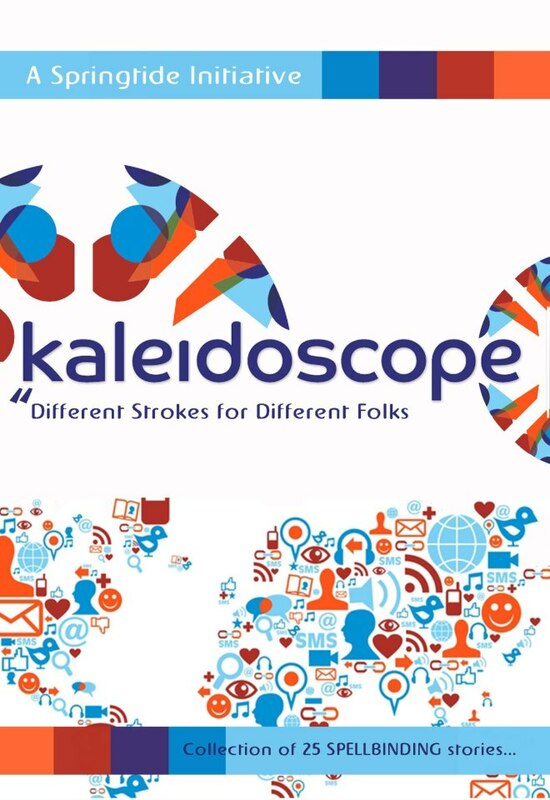 My short story ‘Tale of the Knitting Yarn’ has been published in ‘Kaleidoscope-Different Strokes for Different Folks’. It is also among the top 5 stories in the book, judged by acclaimed author Ashwin Sanghi. lovely pic which place ? Naba – Is this your name? Looking unique but very different. Keep expressing & thanks for voting my Poem "रेत" in Indiblogger. My name is Rishi Vohra and I am the author of a debut fiction novel 'Once Upon the Tracks of Mumbai' released in bookstores last month. For more information on the book, please visit http://www.rishivohra.com. I was wondering if you would be interested in reviewing my book for your blog. Thank you for your time and consideration. I can be reached at rishi7777@gmail.com. Look forward to hearing back. Congrats on your debut novel. I would surely like to review your book 🙂 ..
You have such nice Blog and i like you writing skills. I'm impressed the way you describes the things or explains it in every post of yours.Keep it up and let such nice post share with us which have been sharing till now. It's nice blog. Keep writing content like this. My best wishes to you for writing blog like this. I went through your blog and i must say that you are doing really a good job, i especially like the book review section. We are running a platform for writers, who have just started there journey and well for readers. I am wondering if you will be interested to contribute with us? Thanks so much Sanjay ! My name is tushar grover and I am the author of a nonfiction self help ebook 'step towards acme' released in all major ebook stores. For more information on the book, please visit https://www.smashwords.com/books/view/205759. I was wondering if you would be interested in reviewing my book for your blog. Thank you for your time and consideration. I can be reached at positive6900@yahoo.in Look forward to hearing back. Liking your blog. Can't wait to see what you have in store for the A to Z challenge this coming April. Will be dropping by. Thanks Sarah …I can't wait either! Liked your blog.. Keep writing. Love the way you write.. I am associated with a spiritual society (Ananda Sangh) and we are launching a movie on Community living named "Finding happiness" on 25th April 2014. We would be very grateful to you if you can write your views about the movie on your blog. You can find information about it on http://www.FindingHappinessMovie.com. If you want to know more, can contact me on anuradha.dse@gmail.com. mam i need your help !! how do i contact you ? So nice to be hear, I have been looking at your blog and how well you have organised, looks great, and lovely picture of yours…best wishes for your writing..
Keep on writing , never leave your passion. Very nice article published on your (NABANITADHAR IN) Portal. I really did enjoy reading your article onabout Me. Thanks for taking the time to write such a detailed post, I enjoyed it and will share with my community.